T-Mobile is bringing a new generation of the popular Sidekick phone to market, now with 4G network speed and the Android operating system. The Sidekick 4G is built for messaging and social networking enthusiasts, with a 3.5-inch touchscreen that slides up and away to reveal a spacious QWERTY keyboard. A 3-megapixel camera faces out, while a VGA camera faces in for video chat. 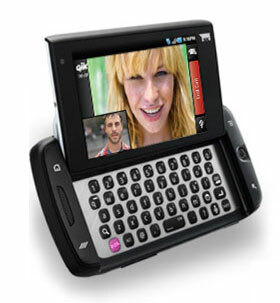 In addition to preloaded Facebook and Twitter apps, the Sidekick 4G offers a Group Text feature and Cloud Text, enabling messaging among phone and PC users. The Sidekick 4G will cost $99.99 after a $50 rebate with a qualifying unlimited data plan and 2-year contract, and $149.99 with other data plans. It will begin shipping sometime this spring.